A girls pretty music box. 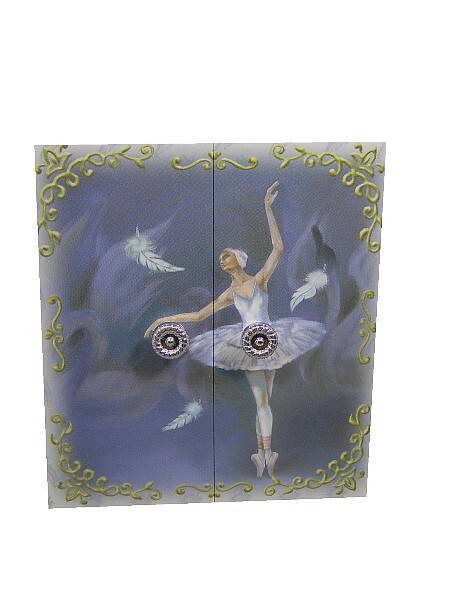 This musical jewellery box is coverd with a ballerina themed printed paper. 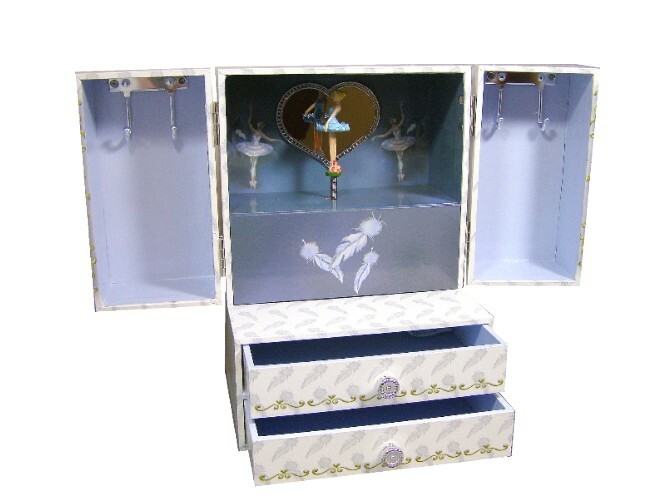 Inside the music box is a tiny ballerina figurine that revolves to the music when the key is wound up. The music box plays the tune "Swan Lake". A perfect gift idea for girls. This musical jewellery box is made from a thin wood board covered in a printed paper with colourful design. 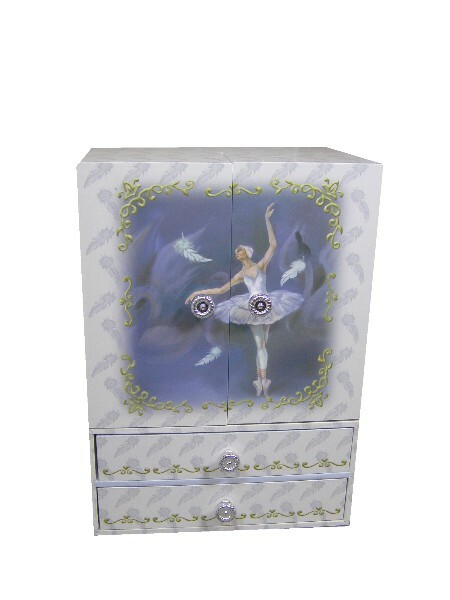 The musical jewellery box has velvet lined drawers. The jewellery box is fitted with a clockwork musical movement wound by a key at the rear of the box.